Are you interested in the result of our work and how is the real estate really presented at the end? 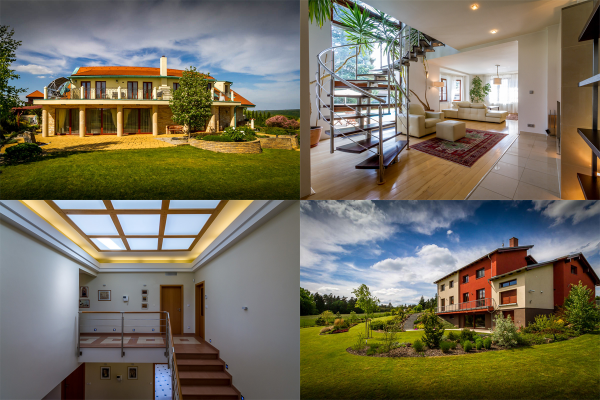 Or even better- do you consider buying an interesting real estate in the region of the Czech republic? Anyway, let´s go together to see the houses being presented by us. You´ll find here some of those ones being just in sale, but also those ones which have found their new owner. Enjoy your tour! The brick family house is designed in link with the contemporary low-energy construction trend. The purity of its design is from the point of the architectural view intensified by using of fine materials. Find more about this house „without compromises“.